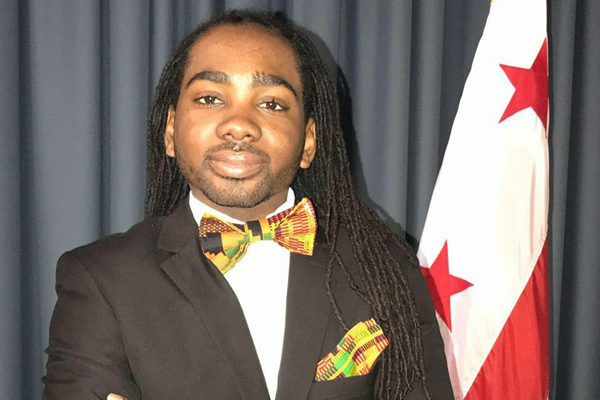 March 20, 2019 at 10:21 am EDT | by Lou Chibbaro Jr.
D.C. Council member Trayon White (D-Ward 8) is calling on Mayor Muriel Bowser to add $500,000 to the city’s proposed fiscal year 2019 budget to support nonprofit organizations providing housing-related services for LGBT youth and seniors. White called for the funds to come from the budget of the D.C. Department of Housing and Community Development, which is headed by lesbian community housing expert Polly Donaldson, one of Bowser’s many LGBT appointments to high-level city positions. White included the funding proposal for LGBT youth and senior housing as one of 18 specific funding proposals on a wide range of issues, including violence prevention efforts, youth mentorship programs, and home ownership assistance. A spokesperson for Donaldson couldn’t immediately be reached to determine whether Donaldson and the mayor support White’s proposal.